Most fatal crashes occur at speeds below 40 mph and within 25 miles of your home. If you’re in a crash and are thrown from the vehicle you have a 75% chance of being killed. When worn correctly seatbelts reduce the risk of moderate to critical injury by 50%. 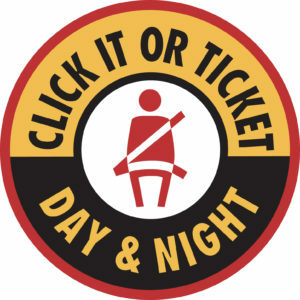 Death rates are more than 8 times higher when the occupant is not buckled or restrained. It’s simple: You’re safer in your car when you’re buckled. Your passengers are safer when they’re buckled. A seatbelt improves your odds of surviving a serious traffic crash. Set a good example. Adults who don’t buckle up are sending children the message that it is all right to not wear a seat belt. Children model adult behavior. 70 percent of the time that a driver is unbuckled, you can bet that the children riding in that vehicle aren’t buckled either. Wearing a safety belt is the law here in Virginia. It’s the law for a reason.